Dilum Fernando obtained a Bachelor's of Civil Engineering from Monash University in 2005. During his last semester of bachelors studies, he joined Connell Wagner (pty) Ltd., as a part time design engineer. After completing his bachelor’s degree in May 2005, he joined Connell Wagner (pty) Ltd. as a full time design Engineer and worked till April 2006. In April 2006 Dilum Fernando started his PhD studies at The Hong Kong Polytechnic University in the area of Carbon Fibre Reinforced Polymer (CFRP) strengthening of metallic structures. His main research topics involved bond behaviour between CFRP and steel, analytical and numerical modelling of debonding behaviour of CFRP-steel bond joints and numerical modelling of the behaviour of various CFRP strengthened metallic structures. After completing his PhD in 2010, he joined the Infrastructure Management Group (IMG) in the Institute of Construction and Infrastructure Management (IBI) at the Swiss Federal Institute of Technology in Zürich (ETHZ), as a Post-Doctoral fellow. The main research topics during his post-doctoral work at ETHZ involved, modelling the behaviour of transportation infrastructure objects and networks under hazard situations, sustainable design of transportation infrastructure systems, which consider variations of design parameters, novel materials and techniques, and the development of administrative tools that facilitate the improved design and management of infrastructure assets. 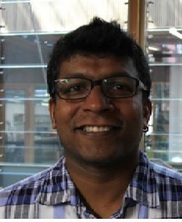 Dilum Fernando joined The University of Queensland in August 2013 as a lecturer in School of Civil Engineering. Lethanh, Nam, Adey, Bryan T. and Fernando, Dilum N. (2013). A Markov model to determine optimal intervention strategies for multiple objects affected by uncorrelated manifest and latent processes. In: IABSE Conference: Rotterdam 2013. Assessment, Upgrading and Refurbishment of Infrastructures. Proceedings. IABSE Symposium 2013: Assessment, Upgrading and Refurbishment of Infrastructures, Rotterdam, Netherlands, (622-629). 6-8 May 2013. Fernando, Dilum, Adey, Bryan T., Ostermeyer, York, Lethanh, Nam and Wallbaum, Holger (2013). A preliminary investigation into the sustainable design of structures. In: Catherine Mulligan, CSCE 2013 General Conference: Congrès général 2013 de la SCGC. Comptes Rendus: Proceedings. Congrès général 2013 de la SCGC: CSCE 2013 General Conference, Montréal, QC, Canada, (GEN-79-1-GEN-79-10). 29 May-1 June, 2013. Teng, J. G. and Fernando, D. (2013). Flexural strengthening of steel and steel-concrete composite beams with FRP laminates. In Xiao-Ling Zhao (Ed. ), FRP-Strengthened Metallic Structures (pp. 51-104) Boca Raton, FL, United States: CRC Press. Walbridge, S., Fernando, D., Adey, B. T. and Raimbault, J. (2013). Long term cost analysis of alternate fatigue management strategies for steel highway bridge welds. In: Catherine Mulligan, CSCE 2013 General Conference: Congrès général 2013 de la SCGC. Comptes Rendus: Proceedings. Congrès général 2013 de la SCGC: CSCE 2013 General Conference, Montréal, QC, Canada, (GEN-167-1-GEN-167-8). 29 May-1 June, 2013. Fernando, D., Yu, T. and Teng, J.G. (2012). Behaviour of CFRP laminates bonded to a steel substrate using a ductile adhesive. In: 4th Asia-Pacific Young Researchers and Graduate Symposium: Conference Proceedings. 4th Asia-Pacific Young Researchers and Graduate Symposium (YRGS 2012), Hong Kong, China, (175-182). 4-5 December 2012. Fernando, D., Yu, T. and Teng, J. G. (2012). Finite element analysis of debonding failures in CFRP-strengthened rectangular steel tubes subjected to an end bearing load. In: Proceedings: CICE 2012. 6th International Conference on FRP Composites in Civil Engineering (CICE 2012), Rome, Italy, (1-8). 13-15 June 2012. Fernando, Dilum, Mirzaei, Zanyar, Adey, Bryan T. and Ellis, Reed M. (2012). Identification of more sustainable bridge intervention strategies. In: Transportation Research Board (TRB) 91st Annual Meeting. Transportation Research Board (TRB) 91st Annual Meeting, Washington, DC, United States, (). 22-26 January 2012. Fernando, D., Yu, T., Teng, J. G. and Zhao, X. L. (2010). Experimental behavior of CFRP-to-steel bonded interfaces. In: Jie Cui, Proceedings of the Eleventh International Symposium on Structural Engineering. 11th International Symposium of Structural Engineering, Guangzhou, China, (1-6). 18-20 December 2010. Teng, J. G., Fernando, D., Yu, T. and Zhao, X. L. (2010). Preparation of steel surfaces for effective adhesive bonding. In: Proceedings CICE 2010: FRP Strengthening Structures. The 5th International Conference on FRP Composites in Civil Engineering (CICE 2010), Beijing, China, (1-4). 27-29 September 2010. Teng, J. G., Yu, T. and Fernando, D. (2009). FRP composites in steel structures. In: Guoqiang Li, 3rd International Forum on Advances in Structural Engineering: Advances in Research and Practice of Steel Structures. 3rd International Forum on Advances in Structural Engineering, Shanghai, China, (182-208). 13-14 November 2009. Fernando, D., Yu, T., Teng, J. G. and Zhao, X. L. (2008). CFRP strengthening of rectangular steel tubes subjected to end bearing loads: effect of adhesive properties. In: Masoud Motavalli, FRP Composites in Civil Engineering. Fourth International Conference on FRP Composites in Civil Engineering, Zurich, Switzerland, (). 22-24 July, 2008. Fernando, N. D., Teng, J. G., Yu, T. and Zhao, X. L. (2007). Finite element modeling of CFRP-strengthened rectangular steel tubes subjected to end bearing loads. In: S. T. Smith, Proceedings of the First Asia-Pacific Conference on FRP in Structures: APFIS 2007. APFIS 2007: 1st Asia-Pacific Conference on FRP in Structures, Hong Kong, (943-949). 12-14 December, 2007. Min, Li, Fernando, Dilum and Gilbert, Benoit P. (2018). Finite element modelling of hybrid FRP-timber thin-walled CEE-section columns in compression. In: WCTE 2018 - World Conference on Timber Engineering. 2018 World Conference on Timber Engineering, WCTE 2018, Seoul, South Korea, (). 20-23 August 2018. Jiang, S., Fernando, D., Ho, J. C.M. and Heitzmann, M. (2017). Behavior of FRP confined ultrahigh-strength concrete columns under axial compression: An experimental study. In: Mechanics of Structures and Materials: Advancements and Challenges - Proceedings of the 24th Australasian Conference on the Mechanics of Structures and Materials, ACMSM24 2016. 24th Australasian Conference on the Mechanics of Structures and Materials, ACMSM 2016, Perth, WA, (1737-1744). December 6, 2016-December 9, 2016. Roslee, A. A., Fernando, D. and Ho, J. C.M. (2017). Demoting splitting crack formation in confined concrete by silica fume. In: Mechanics of Structures and Materials: Advancements and Challenges - Proceedings of the 24th Australasian Conference on the Mechanics of Structures and Materials, ACMSM24 2016. 24th Australasian Conference on the Mechanics of Structures and Materials, ACMSM 2016, Perth, Western Australia, (1621-1626). December 6, 2016-December 9, 2016. Emberley, Richard, Nicolaidis, Alexander, Fernando, Dilum and Torero, Jose L. (2016). Changing Failure Modes of Cross-Laminated Timber. In: Garlock, Maria E., Structures in Fire: Proceedings of the Ninth International Conference. 9th International Conference on Structures in Fire (SiF), Princeton, NJ, United States, (643-649). 8-10 June 2016. Zhou, Hao and Fernando, Dilum (2016). Cyclic behaviour of FRP-to-concrete bonded joints: An experimental study. In: Proceedings of the 8th International Conference on Fibre-Reinforced Polymer (FRP) Composites in Civil Engineering, CICE 2016. 8th International Conference on Fibre-Reinforced Polymer (FRP) Composites in Civil Engineering, CICE 2016, Hong Kong, (104-110). 14 - 16 December 2016. Emberley, Richard, Yu, Zeyu, Fernando, Dilum and Torero, Jose L. (2016). Delamination occurrence in engineered mass timber products at elevated temperatures. In: WCTE 2016 - World Conference on Timber Engineering. 2016 World Conference on Timber Engineering, Vienna, Austria, (5262-5269). 22 - 25 August 2016. Jiang, S., Fernando, D., Teng, J. G., Heitzmann, M. and Angliss, G. (2016). Experimental behaviour of hybrid FRP-concrete-steel double-skin tubular arches. In: Proceedings of the 8th International Conference on Fibre-Reinforced Polymer (FRP) Composites in Civil Engineering, CICE 2016. 8th International Conference on Fibre-Reinforced Polymer (FRP) Composites in Civil Engineering, CICE 2016, Hong Kong, China, (687-694). 14 - 16 December 2016. Roslee, A. A., Fernando, D. and Ho, J. C. M. (2016). Improving crack resistance of confined concrete by silica fume. In: Ben Young and Yancheng Cai, Proceedings of the 8th International Conference on Steel and Aluminium Structures. 8th International Conference on Steel and Aluminium Structures (ICSAS), Hong Kong, China, (). 7-9 December 2016. Min, L., Fernando, D. and Teng, J. G. (2016). Local buckling of hybrid FRP-timber thin-walled columns: an experimental investigation. In: Proceedings of the 8th International Conference on Fibre-Reinforced Polymer (FRP) Composites in Civil Engineering, CICE 2016. 8th International Conference on Fibre-Reinforced Polymer (FRP) Composites in Civil Engineering, CICE 2016, Hong Kong, (696-702). 14-16 December 2016. Stringer, James, Dakin, Anthony and Fernando, Dilum (2016). The use of flatwise structural properties in the design of timber-framed residential buildings. In: WCTE 2016 - World Conference on Timber Engineering. 2016 World Conference on Timber Engineering, WCTE 2016, Vienna, , (). August 22, 2016-August 25, 2016. Nicolaidis, A., Emberley, R., Fernando, D. and Torero, J. (2016). Thermally driven failure mode changes in bonded timber joints. In: Proceedings of 2016 World Conference on Timber Engineering, WCTE 2016. 2016 World Conference on Timber Engineering, WCTE 2016, Vienna, Austria, (). 22-25 August 2016. Fernando, Dilum, Yu, Tao and Teng, Jin-Guang (2014). Bond-slip models for CFRP laminates bonded to steel with linear adhesives. In: 7th International Conference on FRP Composites in Civil Engineering, CICE 2014, Vancouver, BC, (). August 20, 2014-August 22, 2014. Fernando, Dilum, Adey, Bryan T, Ostermeyer, York, Lethanh, Nam and Wallbaum, Holger (2013). A preliminary investigation into the sustainable design of structures. In: , , (2323-2332). .
Fernando, D., Frangi, A. and Kobel, P. (2013). Behaviour of timber-glued panels strengthened with BFRP under tensile loading. In: Riadh Al-Mahaidi, Scott T. Smith, Yu Bai and Xiao-Ling Zhao, Proceedings of the 2013 Asia-Pacific Conference on FRP in Structures (APFIS 2013). APFIS 2013: Fourth Asia-Pacific Conference on FRP in Structures, Melbourne, VIC, Australia, (1-6). 11-13 December, 2013. Fernando, Dilum, Wan, Baolin and Walbridge, Scott (2013). Evaluation of bridge maintenance interventions under changing deterioration rates: a Markovian-based methodology. In: Vinh Dao and Peter Dux, Concrete 2013: Conference Proceedings. Concrete 2013: 26th Biennial National Conference of the Concrete Institute of Australia, Gold Coast, QLD, Australia, (1-10). 16-18 October, 2013. Walbridge, S., Fernando, D., Adey, B. T. and Raimbault, J. (2013). Long term cost analysis of alternative fatigue management strategies for steel highway bridge welds. In: , , (2785-2792). .
Fernando, D., Adey, B. T. and Walbridge, S. (2012). Exploiting linear system behaviour to determine structure level costs based on element condition states. In: Fabio Biondini and Dan M. Frangopol, Bridge Maintenance, Safety, Management, Resilience and Sustainability: Proceedings of the Sixth International Conference on Bridge Maintenance, Safety and Management , Stresa, Lake Maggiore, Italy, 8-12 July 2012. 6th International Conference on Bridge Maintenance, Safety and Management, Stresa, Lake Maggiore, Italy, (3005-3011). 8-12 July, 2012. Fernando, D., Adey, B. and Walbridge, S. (2012). Sustainable design of steel girders for a short-span bridge. In: First International Conference on Performance-Based and Life-Cycle Structural Engineering, Hong Kong, (1-10). Dec 5-7, 2012. Teng, J. G., Fernando, D., Yu, T. and Zhao, X. L. (2011). Treatment of steel surfaces for effective adhesive bonding. In: Advances in FRP Composites in Civil Engineering - Proceedings of the 5th International Conference on FRP Composites in Civil Engineering, CICE 2010. 5th International Conference on FRP Composites in Civil Engineering, CICE 2010, , , (865-868). September 27, 2010-September 29, 2010. Development of advanced numerical methods for the accurate simulation of high-deformation failure phenomena in composite materials.